The Bennett is FSSA’s award-winning high school newspaper. 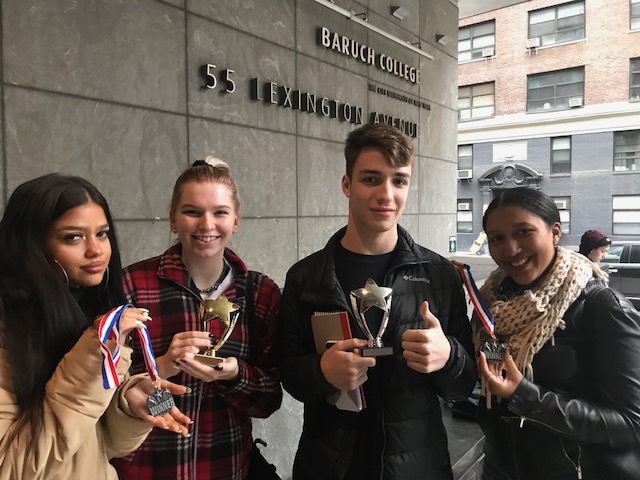 Baruch College hosted its 15th Annual NYC High School Journalism Conference on Fri. Nov. 9, 2018 and Frank Sinatra School of the Arts’ (FSSA) school newspaper, The Bennett won 1st place for a news story, 2nd place for best overall newspaper and received runners-up awards for an arts feature and community news. ← The Mayor of NYC or a Math Teacher?